Today, Verizon, in partnership with NYC Media Lab, announces the ten winners of the Verizon 5G EdTech Challenge. Doghead Simulations in a technology partnership with The New School and Parsons School of Design in New York City has been chosen as one of the ten winners of the Verizon 5G Edtech Challenge. The winning project will be using Doghead Simulations virtual reality meeting and education software, rumii. The project will connect middle school students from the Learning Community Charter School, Jersey City, and university students from The New School and Parsons School of Design, in the virtual reality classroom spaces in rumii to collaborate and communicate in virtual reality on community awareness projects about sustainability, pollution, climate change, and species protection. The challenge called on innovators, academics and non-profit business leaders nationwide to submit their ideas for powerful, transformative education solutions that leverage the unique capabilities of 5G to solve challenges in under-resourced middle schools. Verizon will be the first to bring 5G to the classroom with plans to bring the technology to ten middle schools across the country in 2019. The completed projects will be brought to life in these schools in the fall of 2019. Announced in September, the 5G EdTech Challenge received more than 150 submissions. Judges from across education, social impact, start-up and technology sectors selected the ten winning teams that will each receive $100,000 ($1 million total) to refine their projects. 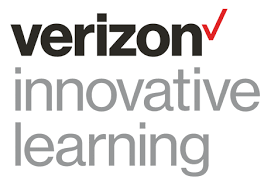 In addition to the funding, each of the winners will be granted access to Verizon 5G Labs, training and mentorship from Verizon 5G experts and support teams within the education community to prepare their applications for implementation in select Verizon Innovative Learning Schools in fall of 2019. Continuing Verizon’s dedication to finding applications for 5G, innovators interested in testing out new 5G ideas can enter Verizon’s Built on 5G Challenge which will open to applicants in April 2018. Winners will receive up to $1 million in total grant funding to develop their concepts on live 5G networks located at Verizon’s 5G New York Lab, 5G Waltham Lab, 5G Cambridge Lab, and new locations in Los Angeles, Palo Alto, and Washington, D.C. Visit Verizon Built on 5G Challenge for more information.